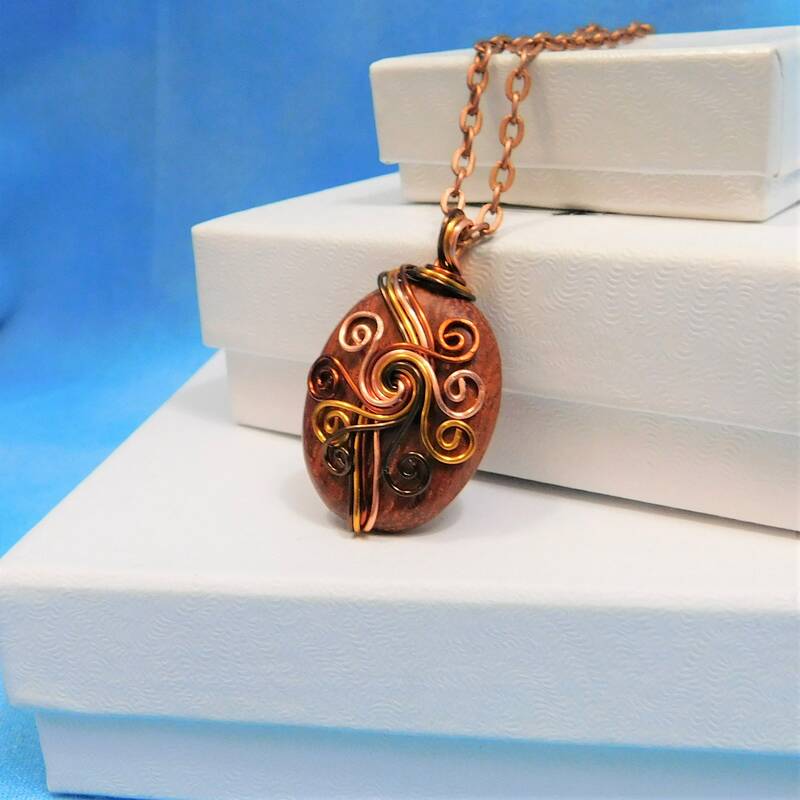 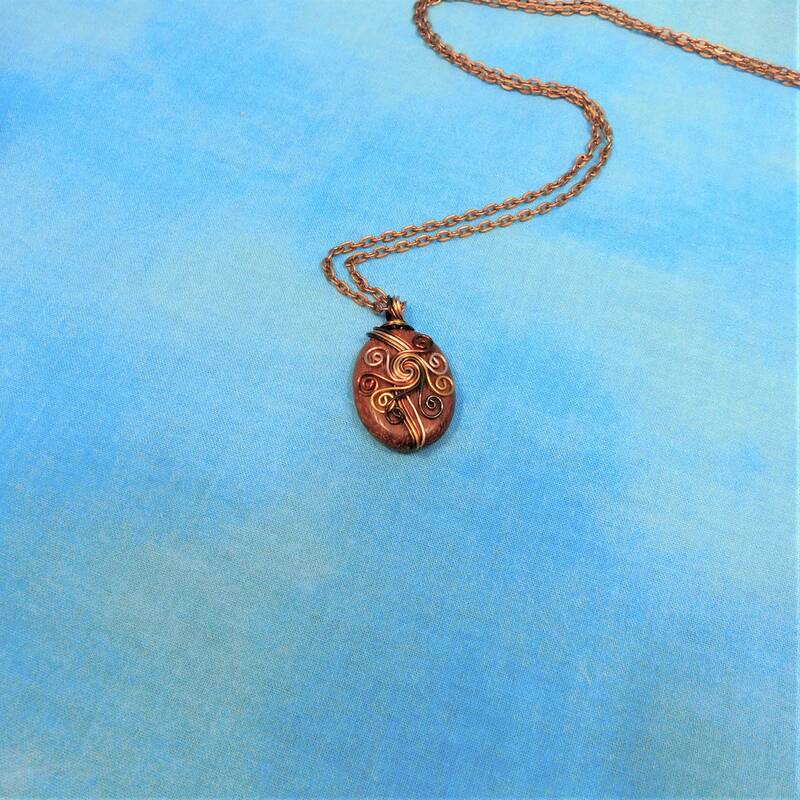 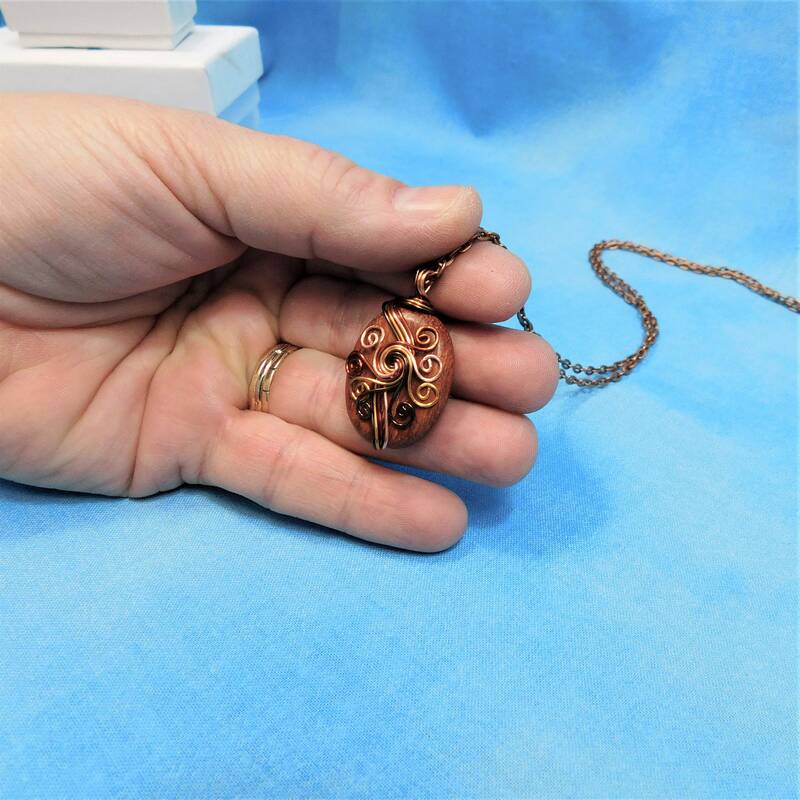 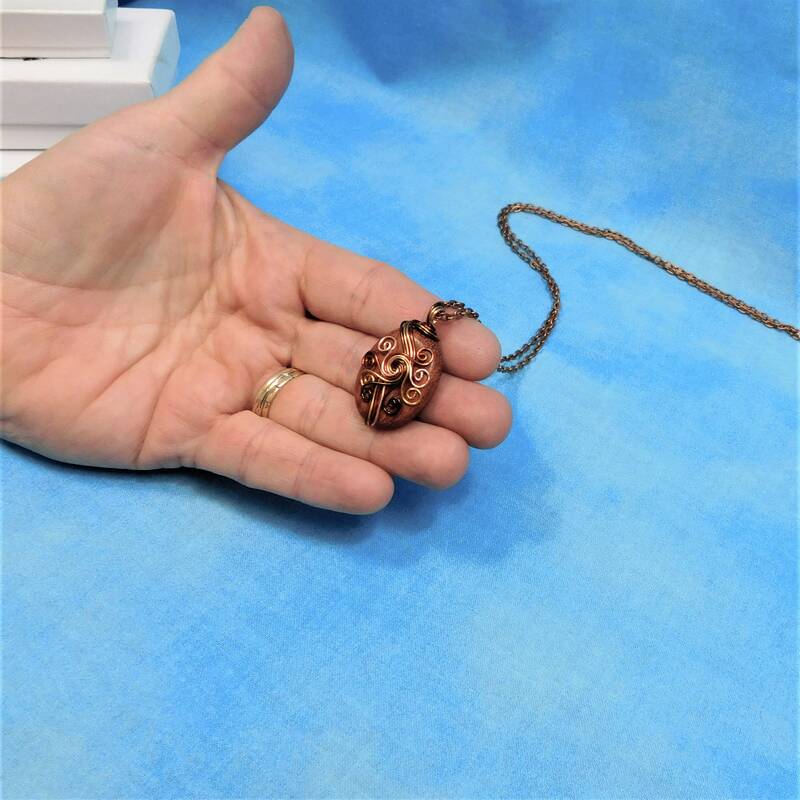 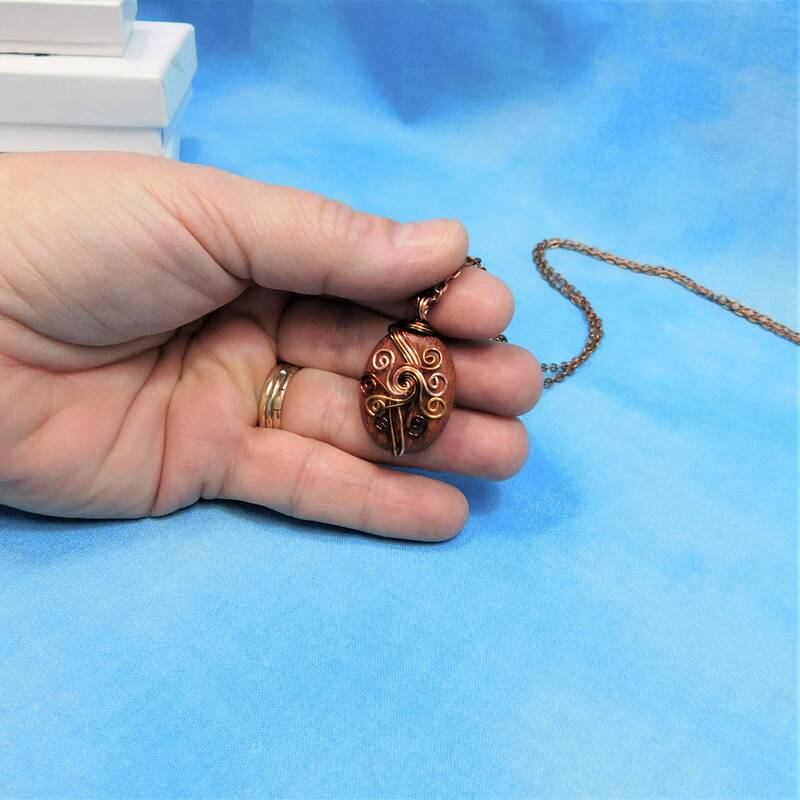 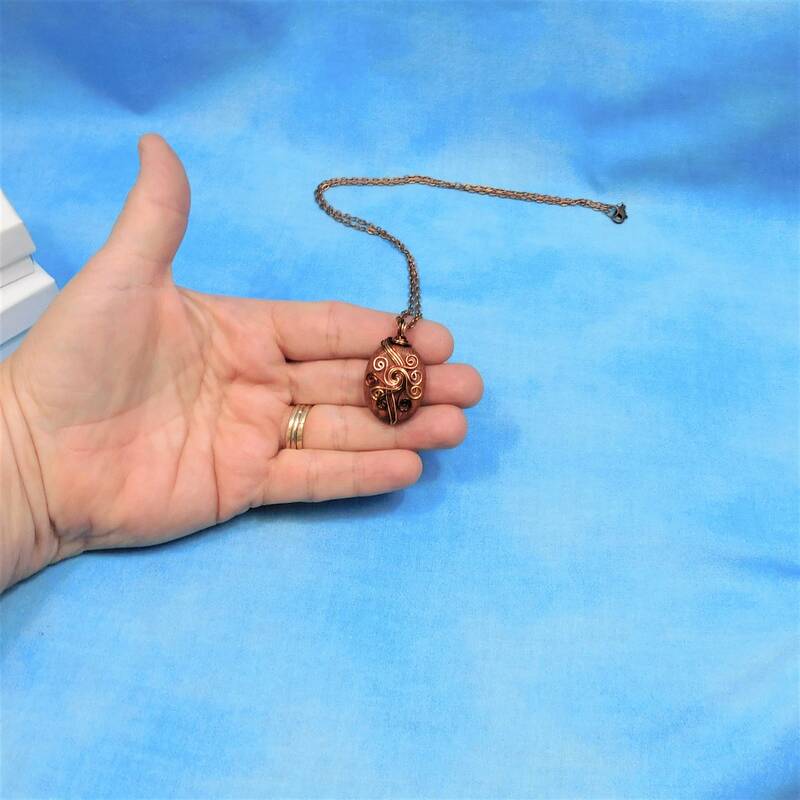 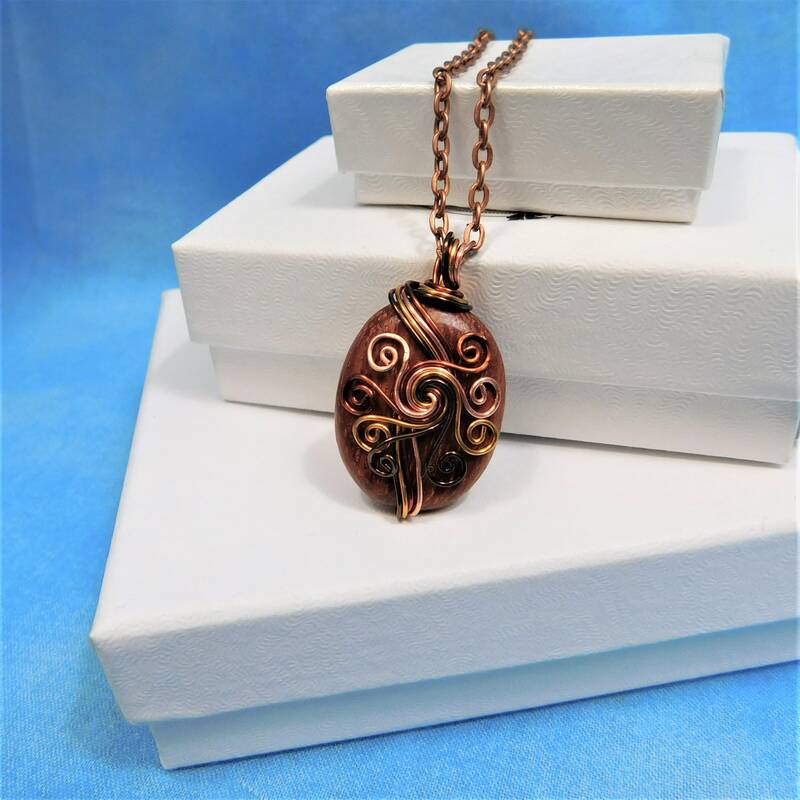 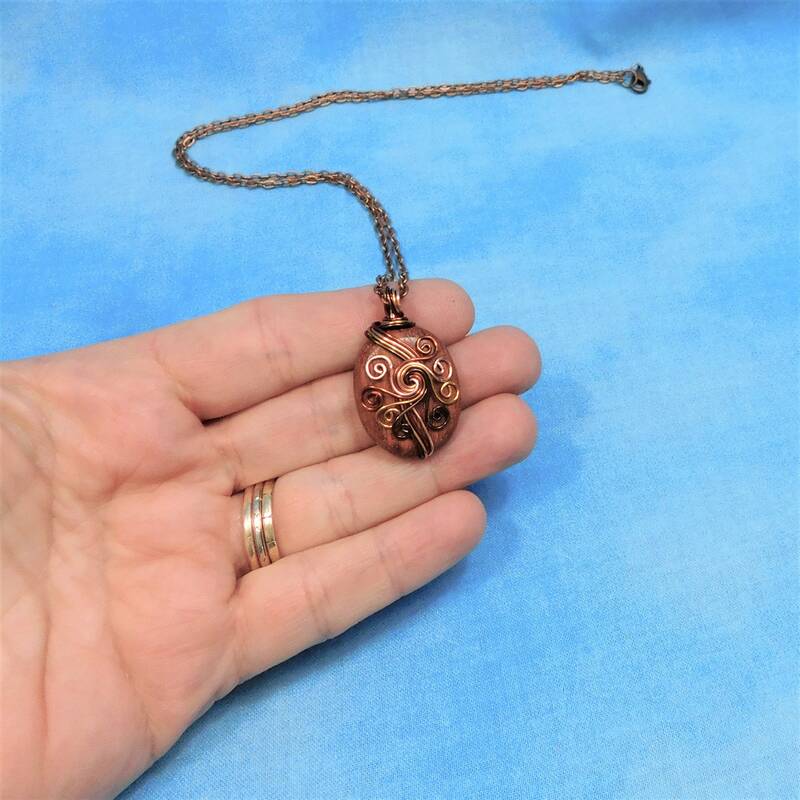 A 1 1/4 inch by 3/4 inch wood bead is artistically wire wrapped and sculpted in three shades of copper and dark copper wire for a great contrasted look in this artistic pendant. 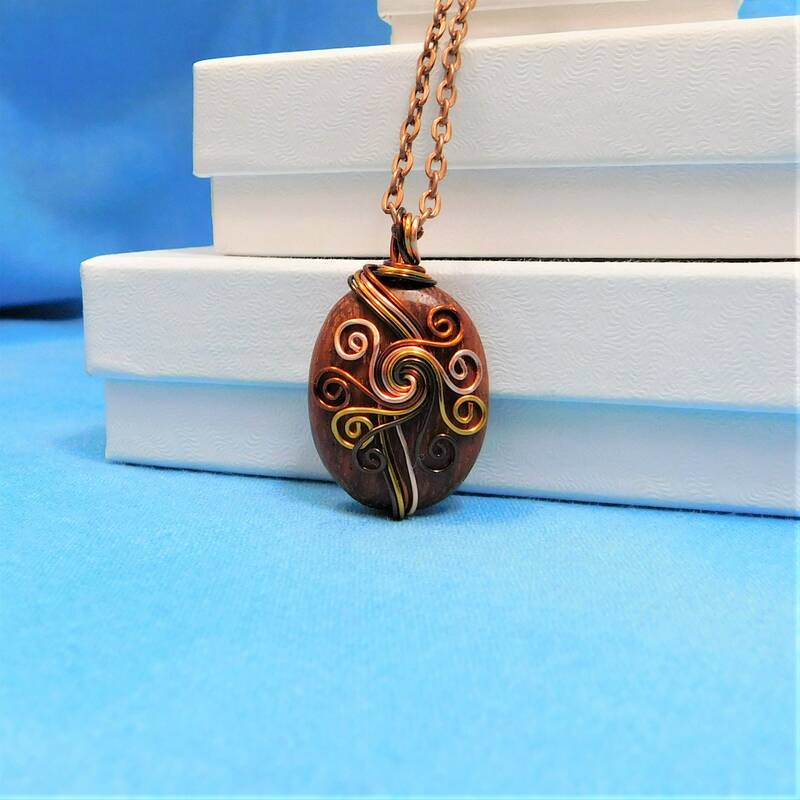 This is an interesting, one of a kind design that is sure to garner attention whenever it is worn. 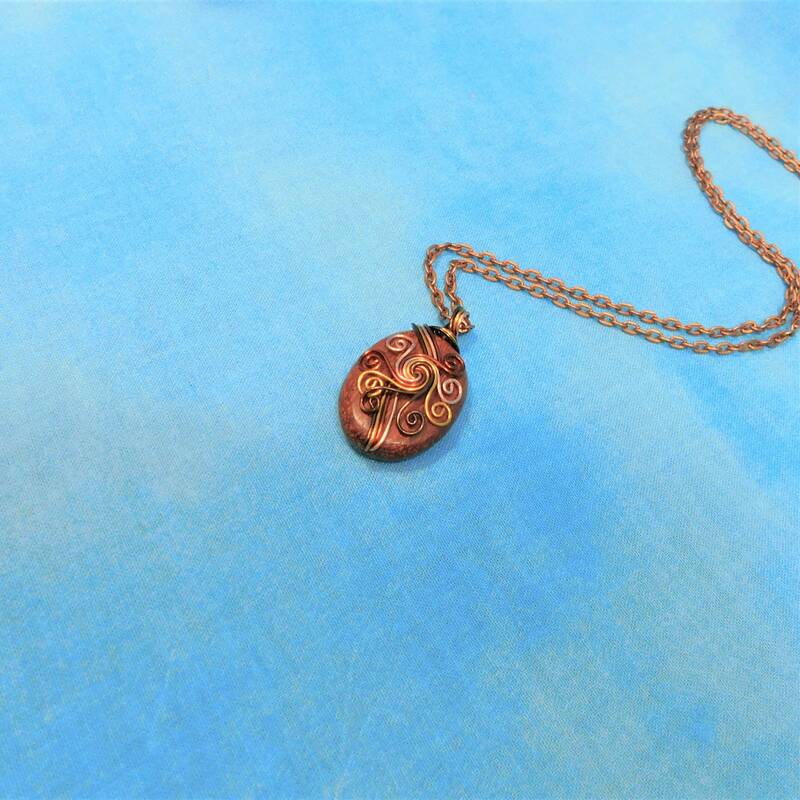 This artisan crafted pendant comes with a FREE coordinating chain with lobster clasp, measured to your preferred length.